Experience our 5-course signature menu, showcasing delicious dishes with inspirational italian cuisine by Chef Bart and his talented team. 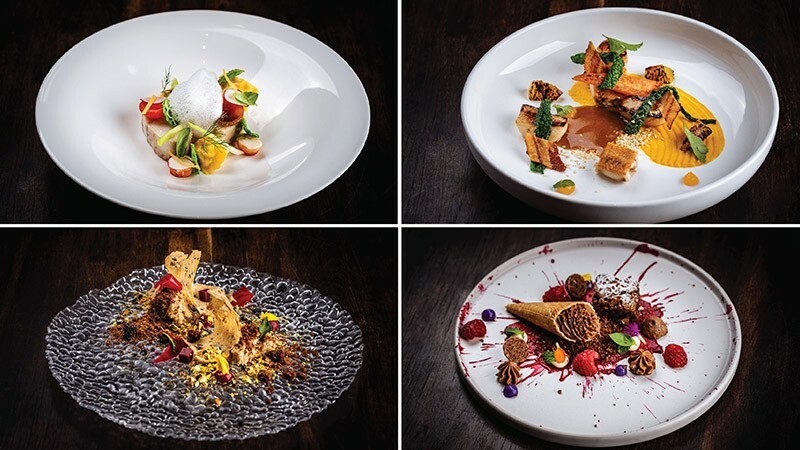 This menu will bring a touch of theatre to your table in the evening, Medici Kitchen & Bar invite diners to a magnificent gastronomy journey on the the 5-course signature menu with wine pairing, matching and accentuating each dish and its exquisite flavours. Using premium ingredients, our gifted chefs will prepare and serve creative dishes at your table side along with an exclusive wine pairing experience that will create your dining journey memorable. The intimate and interactive experience brings the spectacle of the chef’s art to your table and makes your evening at Medici Kitchen & Bar even more enjoyable. Available for dinner only! our highlight stars with special ‘Aero foie gras’ and main course includes the succulent ‘Grilled wagyu short rib’, pairing with a Ricasoli Campo Ceni, Cabernet Sauvignon, Merlot, Sangiovese 2014 to present the most refined taste to satisfy everyone’s taste buds. 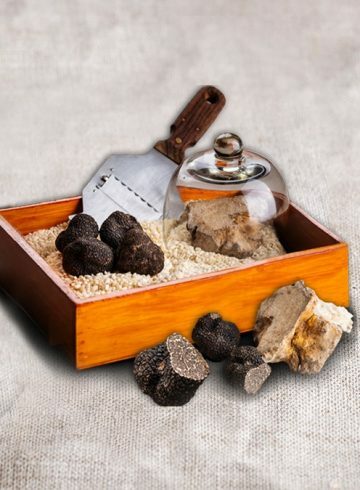 These are the perfect gift for any Italian food and wine lover! The Five-course Signature Menu is priced at THB 3,000++ per person. 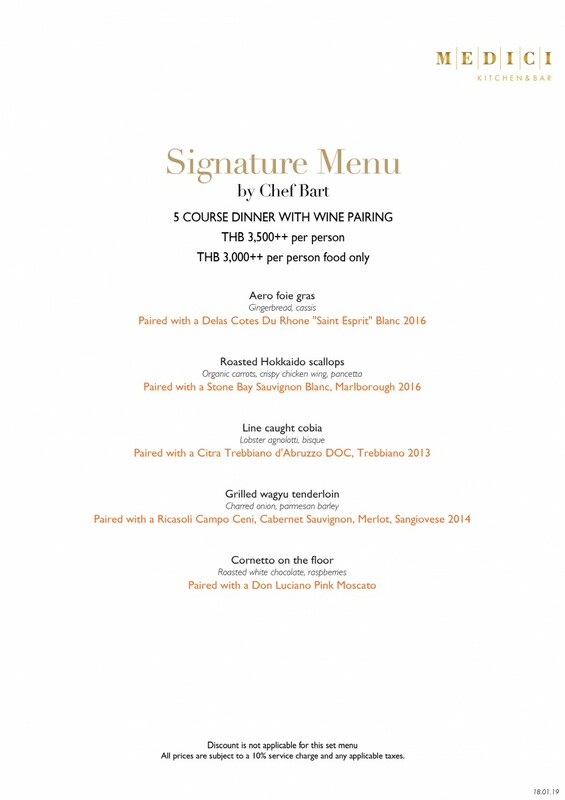 and with Wine Pairing is priced at THB 3,500++ per person. Savour this special limited dish at the Best Italian Restaurant in Bangkok. Opening hours: 06:00 p.m. – 11:00 p.m.